She’s one of the most famous women in Hollywood, and when she and her family steps out, the world notices. We’re talking about Angelina Jolie and her kids, of course. The crew (minus older bros Maddox and Pax) attended the premiere of The Breadwinner in Toronto. 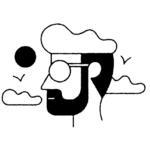 Jolie served as a producer on the animated film, which is based on the best-selling novel by Deborah Ellis and follows a young girl in Afghanistan who disguises herself as a boy so that she can work and support her family. Everyone looked stylish on the red carpet, but we especially can’t believe how grown up Zahara and Shiloh are. And is it us, or is Shiloh twinning with dad Brad Pitt more than ever? Those blonde locks are adorable, and they complement with her low-key black and white outfit. Meanwhile, Zahara added a splash of color with a burgundy lace dress. 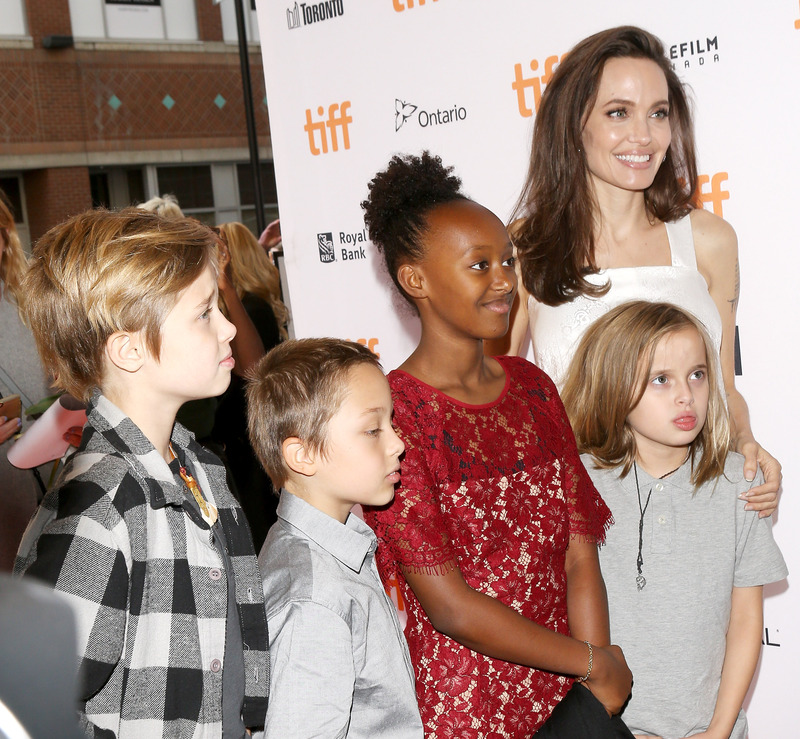 Everyone looks happy and healthy, and it’s great to see Jolie’s kids supporting her creative endeavors. This important film comes out in November, and it looks like a must-see. 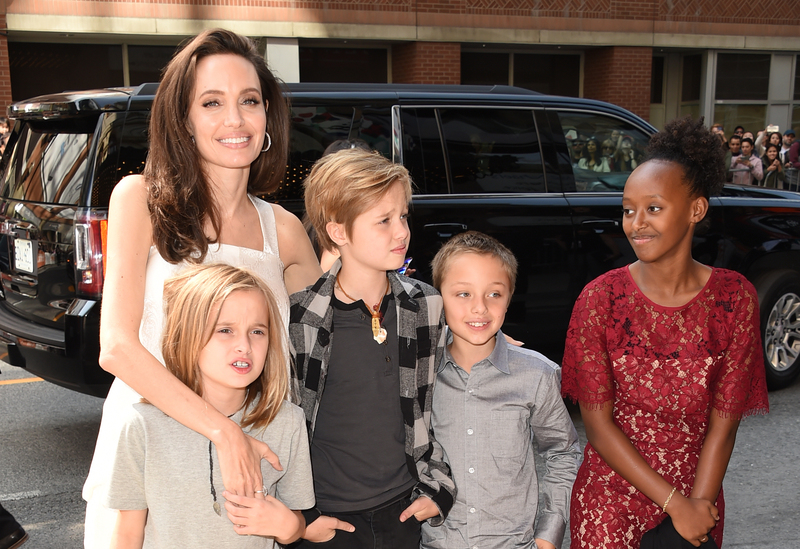 Before we go…kids of Angelina Jolie: Don’t grow up too fast. We won’t be able to keep up. Seriously though, we’re so excited to see what kind of people Jolie’s kids all blossom into, and whether or not they dive into a creative profession like their parents.